A dentist can be frightening to a child. All those tools. The sound of the drill. 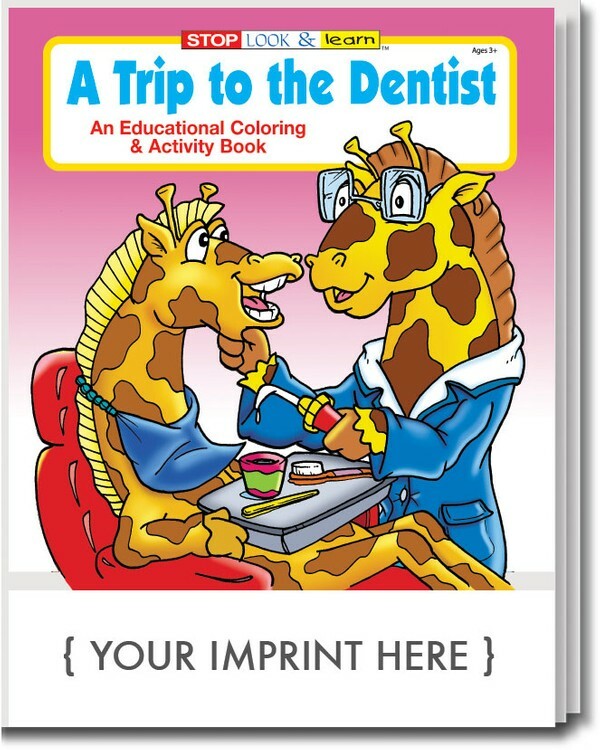 Ease your child's fears with the educational A Trip to the Dentist Coloring and Activity Book. This book features 16 pages of coloring and games, to show your child the importance of oral health, and that the dentist's office isn't so bad after all. Recommended for children ages 3 and up. Perfect for any dentist office or dental practice.